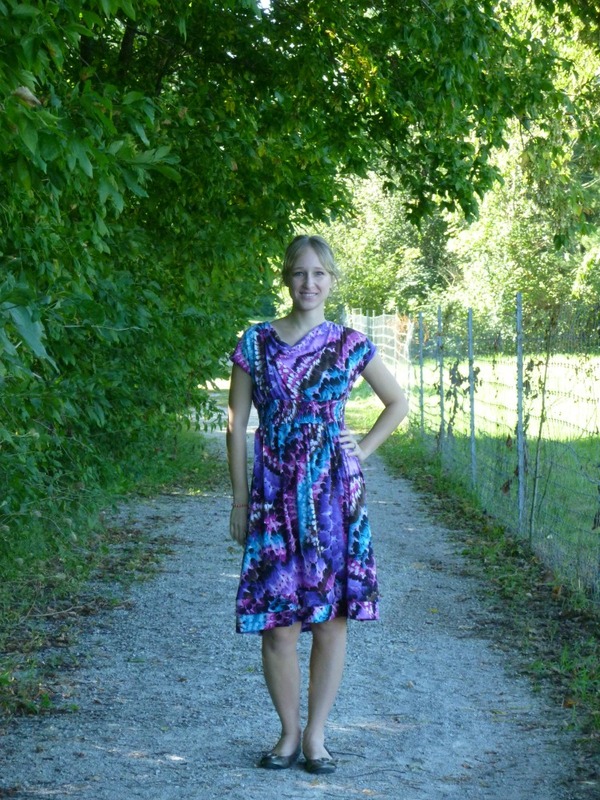 Remember my obsession with the Make It Perfect Coastal Breeze dress? It started from here. 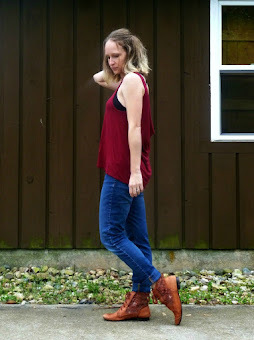 I've always wanted to duplicate this garment, so I was pretty happy that this was our week 3 challenge. This dress does have a secret, though: it's a maternity dress! I don't think you can tell just by looking at it. And I've worn it a lot since AB was born 2 1/2 years ago, so, yeah. I couldn't bear to pack it up! There are a few details that I particularly like, including a shirred waistband, a built-in modesty panel, and the cowl neckline. 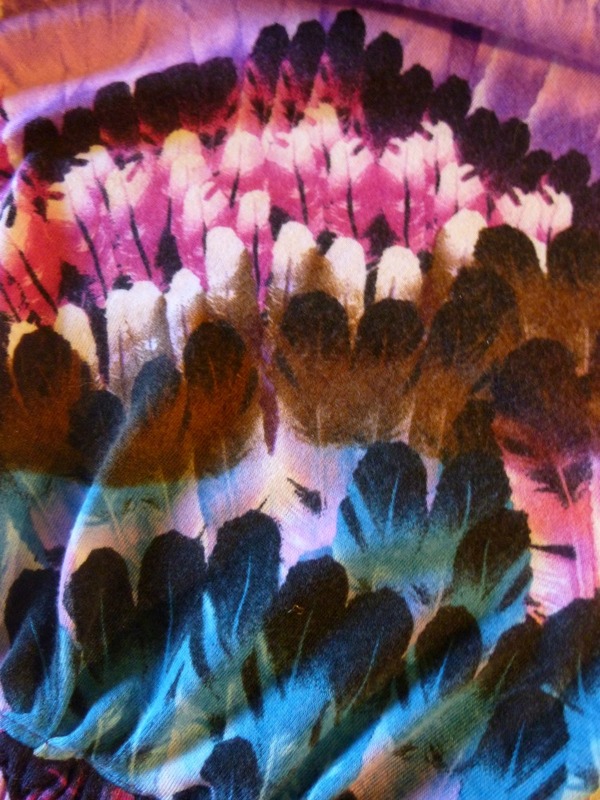 The fabric is also heavy enough that I can wear it with leggings well into the fall and winter (with a coat). 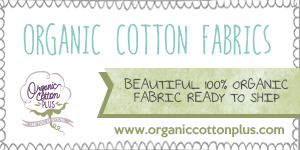 For the Fabric Mart contest, we were asked to write a blog post detailing how we created our pattern. I've read and own Steffani Lincecum's book on the rub-off method (review here) and I've used the method successfully in the past. However, I also know from experience that you can't really rub-off a cowl neck (proof). It's also a poor method for gathered fabrics since you have to stretch them out, and inevitably you'll have inaccuracies. I ended up using a combination of rub-off techniques, measuring, pattern-hacking, and straight guessing! A toddler who steals your stuff is optional. I started with the back since it's the most simple piece, and I pulled out my MIP pattern to compare. I've already altered this pattern so it fits my narrow shoulders and I wanted to start with something I knew. I traced a new copy and then altered it to more closely resemble the base dress (shortened the sleeve, narrowed the bodice, and shortened the bodice). 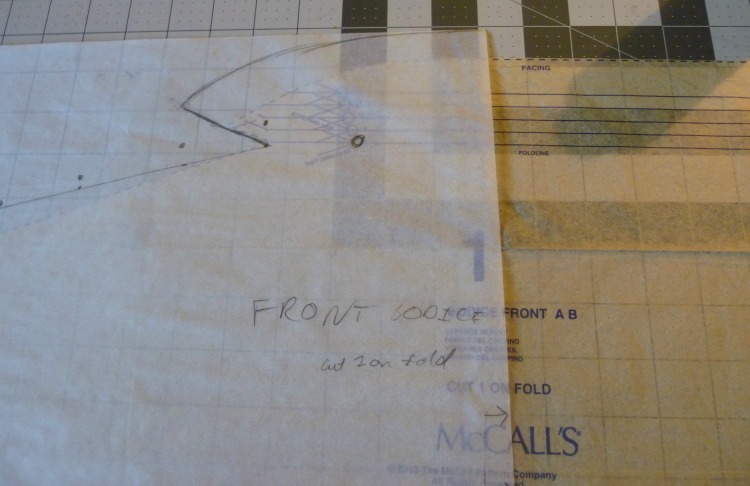 Next, I traced the shape of the underarm, sleeve, and shoulder onto a new piece of paper to start drafting the front. It's important that the underarm of the front and back are the same length, and the shoulder seams are close to the same (you can get away with easing the front to the back just a little). Then it was time to shape the cowl, and things got tricky. 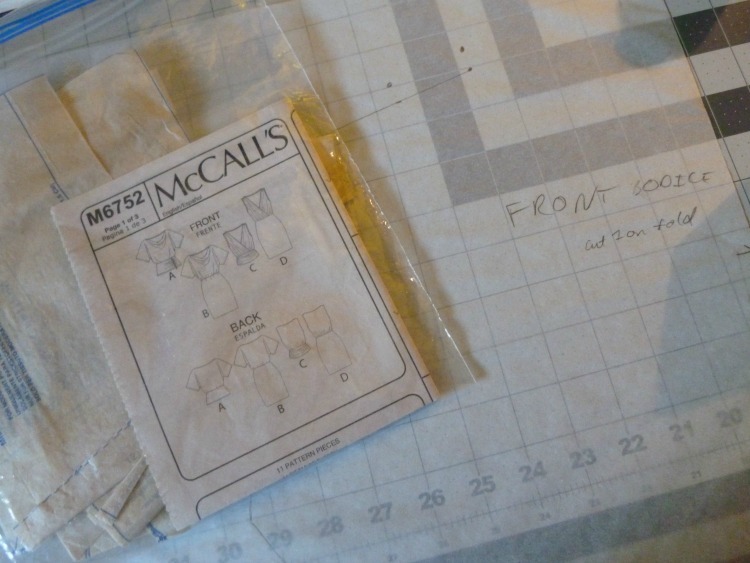 I pulled out McCall's 6752 which has a draped neckline, though to less of a degree than I needed. I basically copied the shape over with extra cowl height (or depth, depending on how you look at it). At this point I made a muslin of the bodice, and thank goodness I did! It looked terrible. The neckline was much closer to a boat neck than a beautiful cowl. After staring at it a while and consulting the McCall's pattern, it seemed that I needed more width across the chest. 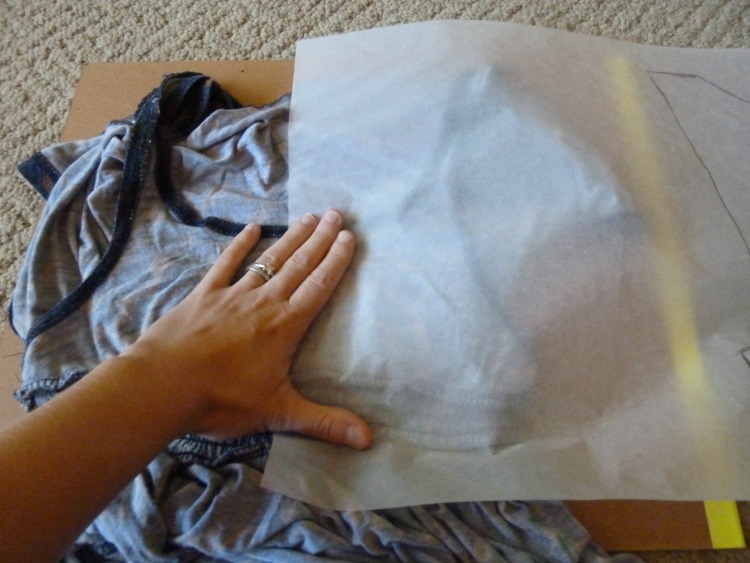 I cut my muslin vertically at CF and spread it out over my chest. Much better. I went back to my pattern and added 3 inches in CF (on the fold, so 6") then made another muslin to confirm my changes. The bodice was done! On to the shirring! Confession: I've never shirred anything before, though I have elastic thread on hand. I've read about it but refreshed my memory with this tutorial from Made By Rae. I hand-wound the bobbin and got to work on some tests. Miraculously I had no issues and found a ratio of about 2:1 worked. 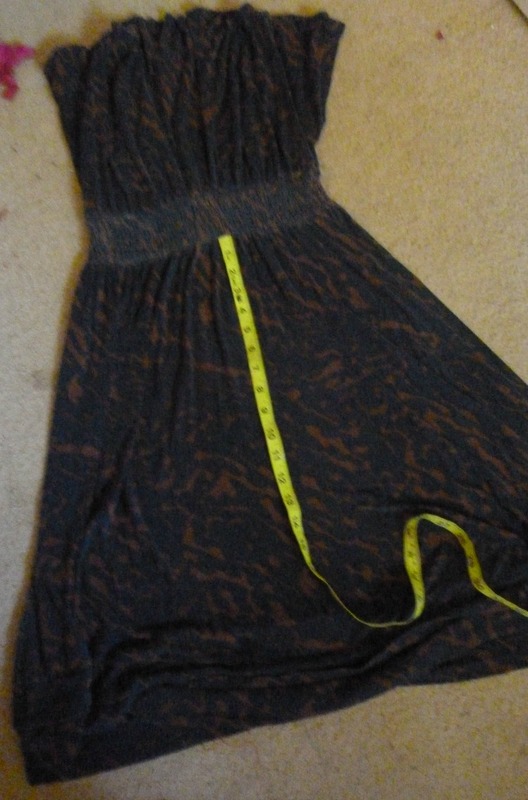 In other words, I shirred 5" of fabric and when it was shrunk to 2.5" it looked like my inspiration dress. 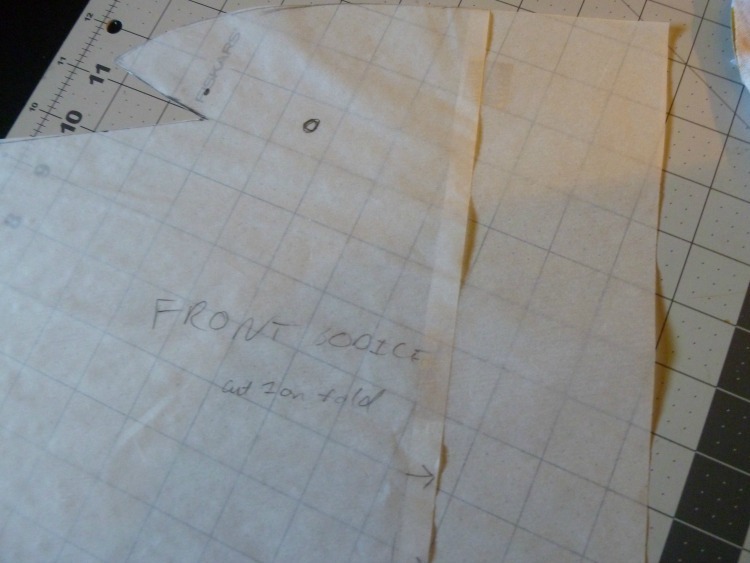 I measured the finished dimensions of the shirred front and back, doubled the width, and added two seam allowances. I measured the height of the WB and noted the amount of rows of shirring and distance between them, then added two seam allowances. Waistband done! The skirt was tricky. 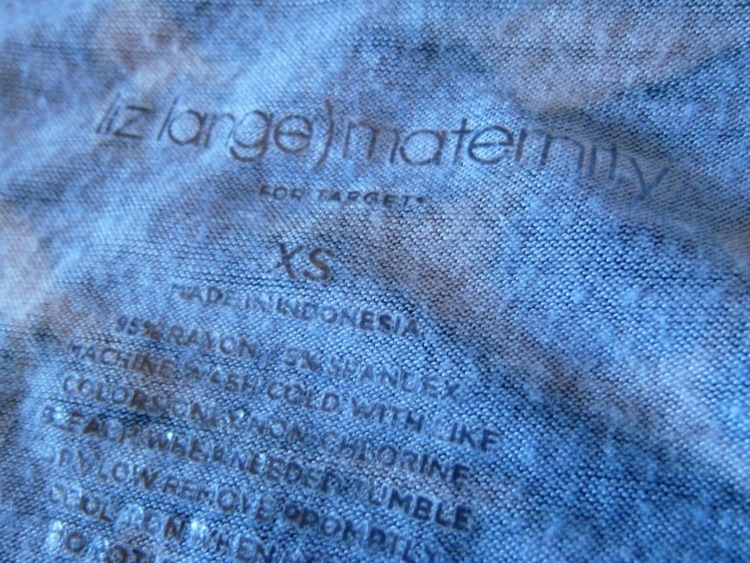 I have zero experience with maternity sewing since I didn't learn how to sew until after AB was born. 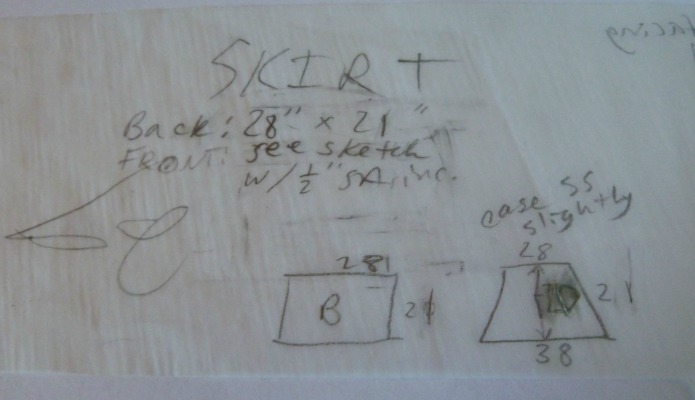 A few quick measurements showed me that the front of the skirt was 10 inches wider at the hem than the back of the skirt. You need the extra width to accommodate a growing belly. At this point, I had a choice to forget all about the maternity aspect and draft the front to match the back (that's how the Coastal Breeze is drafted, for example) or to go ahead and try to figure it out. I decided to figure it out. I love how the front drapes and I wanted to be able to recreate that. Everyone needs a little help hiding a big lunch now and then! Here was the problem: the top of the skirt front and back seemed to be the same width (it was hard to tell exactly since they're gathered into the waistband). But the hem width was 10" different. This meant that the front skirt panel had an A-line shape, and the back seemed to be a rectangle. Obviously, the side seams were the same length. I did a few small-scale tests to see if it was at all possible to sew an A shape to a rectangle, and it worked out okay...the bigger the difference between the hems, the bigger the difference between the side seam lengths. I know there's some maths involved here, but y'know...maths. I got an A in Geometry but I didn't learn a damn thing. I ended up laying out three or four measuring tapes on the floor and arranging them until I had a shape that worked. I've been told I have the handwriting of a 4th grade boy. 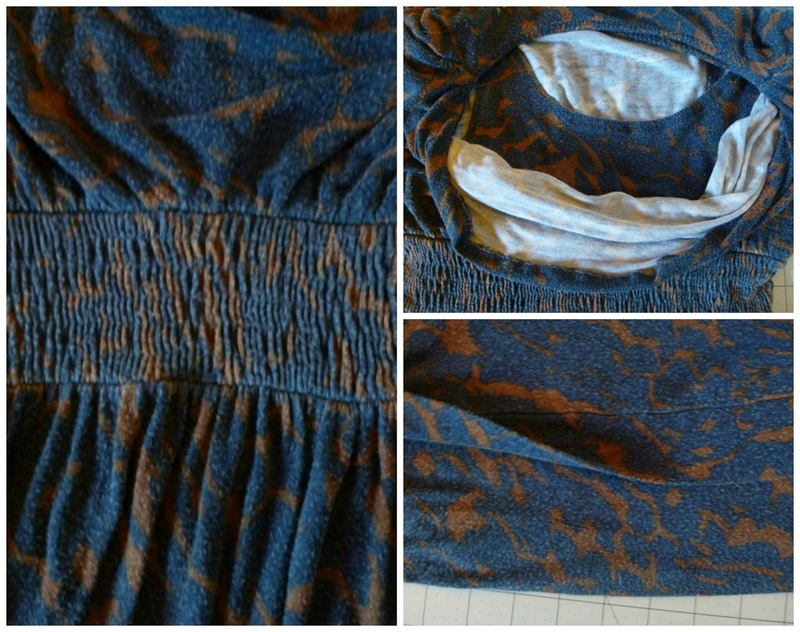 Last but not least, the hem is tiered (see collage photo above). 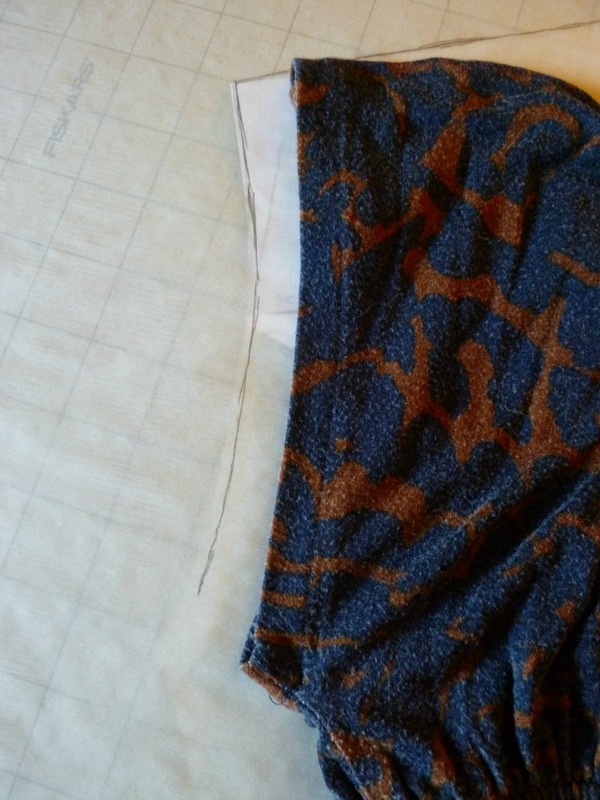 The pieces are rectangles sewn together to the bottom of the skirt panels. I measured them (front and back are different by 10" as mentioned above) and added seam allowances. I've always loved the hem on this dress because it's heavy. The bottom tier has a 3" hem allowance! Did I say the hem was last? I lied. The modesty panels inside the bodice also needed drafted. There is both a front and back. I hate wearing camis with dresses because there's nothing to tuck them in to, so they always ride up. I love this panel because it eliminates the need for a cami, plus you can bend over without fear of the cowl neck draping and showing off your ladies. 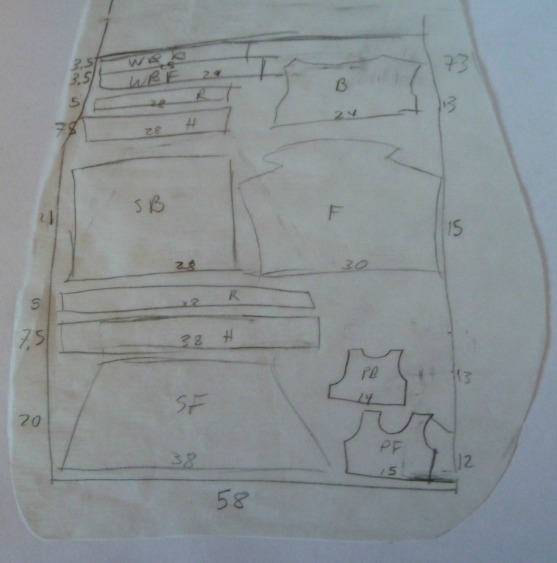 I drafted these pieces by placing paper on top and sketching around the edges, then added seam allowances. I sketched them in roughly by eye...not the most accurate choice, but fast, and I do it often enough to be halfway confident. Normally I prefer to put the garment on top of the paper, but since this piece is attached to the outside bodice, it wasn't really possible. It took me basically a whole day to draft the pattern for this dress, working on and off with my 2 year old adding her special brand of help. 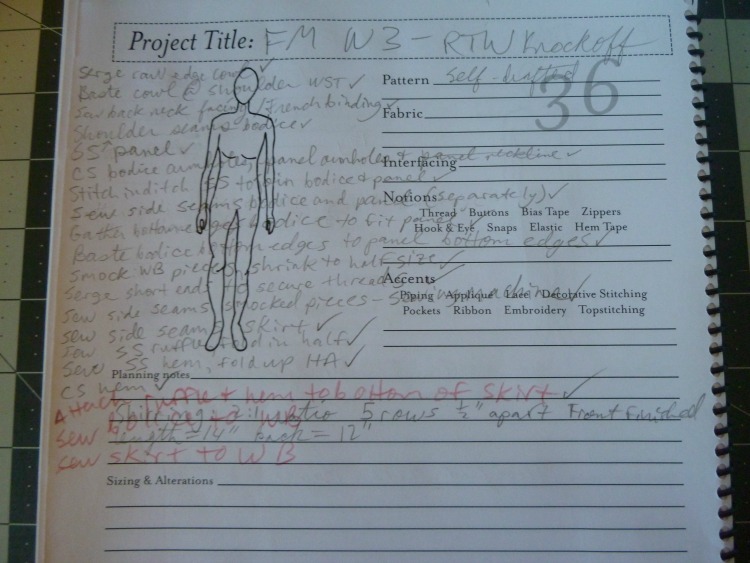 It took another half a day to draft the cutting layout and write an order of construction. Luckily I had stash fabric that was perfect for this dress. 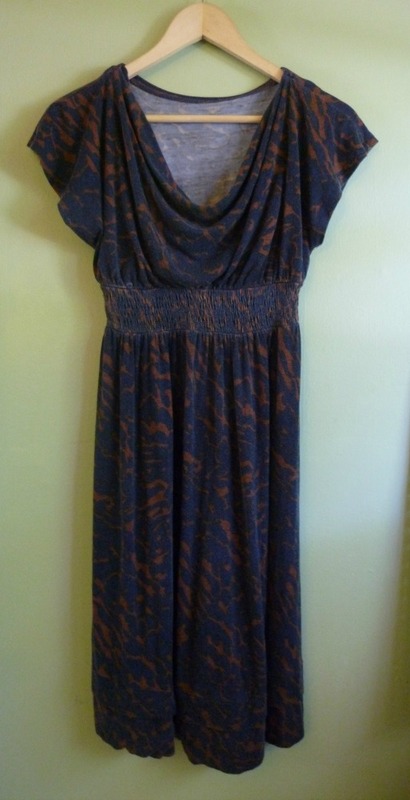 It's a cotton/rayon/spandex knit that I already had earmarked for a dress of some sort. I chose it because the weight and feel was very close to the original. I needed a fabric with weight for a good cowl, and something sturdy enough to withstand shirring. 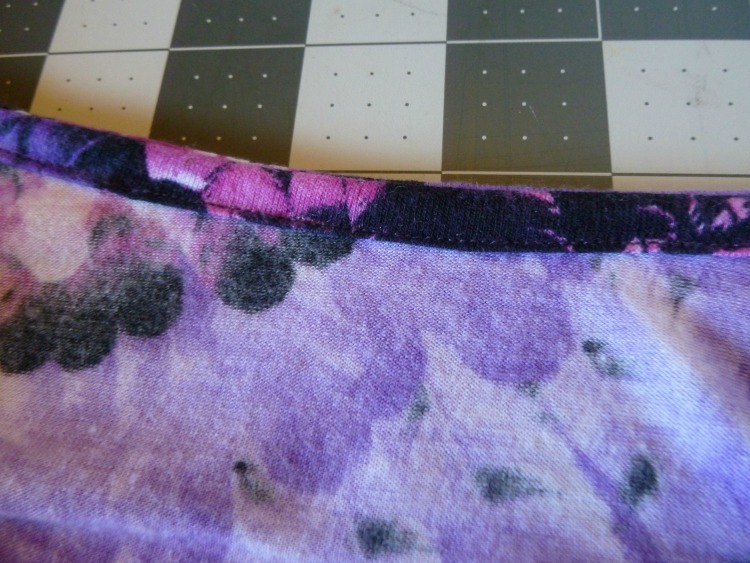 I was very pleased with how this fabric held up, and c'mon, it's freaking gorgeous! 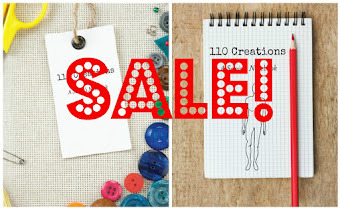 It's from Girl Charlee but since I've had it a year...it's sold out, sorry! 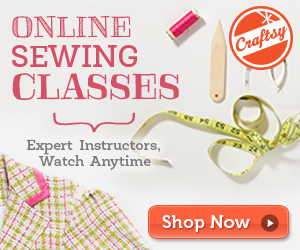 With all the planning done, I sewed like a madwoman! As expected, the shirring took quite some time, since you have to hand-wind the bobbin, and I sewed 5 rows basically a full 60 inches. Then you have to pull the threads to gather it. Phew! I love the effect, but it will be a while before I try it again. After a few days of hard work, I had my completed dress! 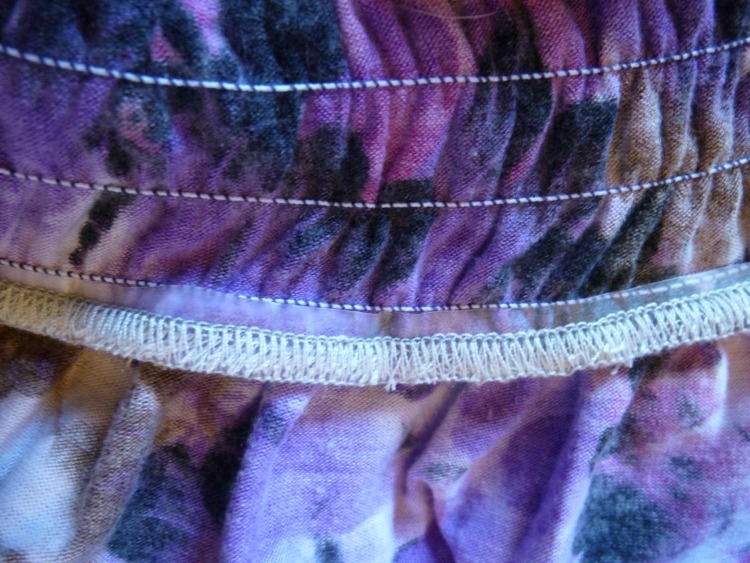 The seams are sewn on my serger, and the hems are coverstitched. 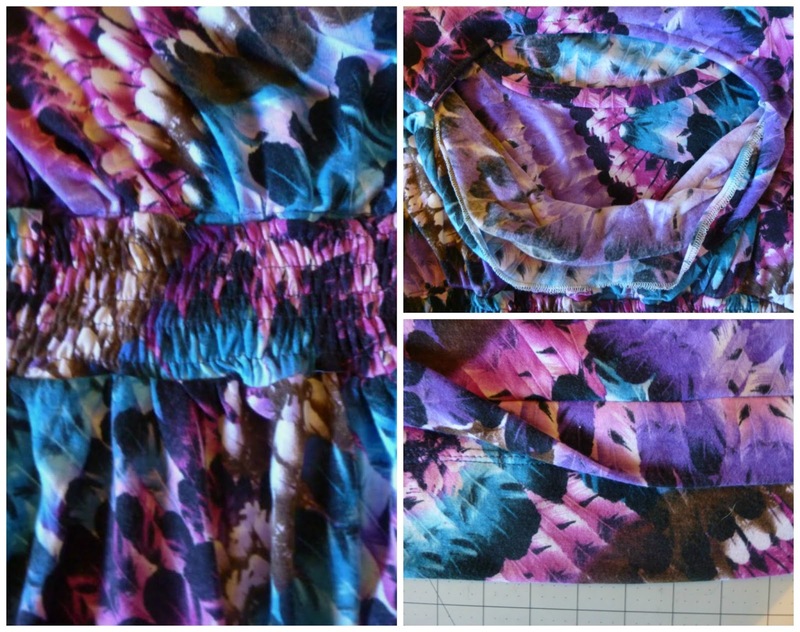 The back neckline is finished with French binding, matching the inspiration dress (I wrote a tutorial on French binding here). 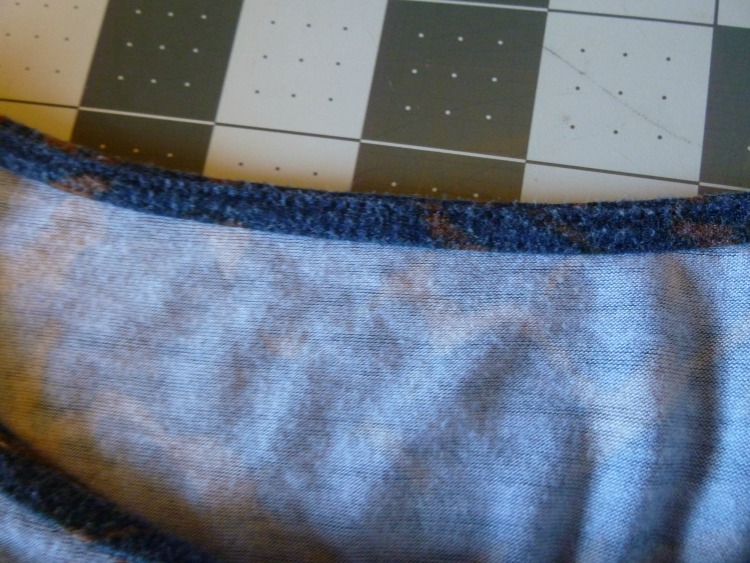 The cowl edge is serged. The modesty panel is sewn to the waistline at the bottom, and handsewn into the ditch of the shoulder seam at the top. Wherever possible, I matched the finishing of the original dress, including stabilizing the waistline seam with clear elastic. Copying this dress was an amazing challenge, and I can't tell you how awesome it feels to be wearing an exact replica of something I've loved for a long time. I learned a lot, tried some new things, and now I have a beautiful dress to show for it! If you like what I've done, I'd love it if you trekked over to the Fabric Mart blog and voted for me. Voting opens Wednesday and closes Thursday night, with the winner announced Friday. Very nicely done Beth! Love the fabric!! Isn't their maternity stuff the cutest?! Great job, Beth! Your fabric is beautiful, and what a nice job on the shirring! Good luck! Such pretty fabric, I think it looks even better than the original, great job! Cute fabric! I like yours more than the original! Very nice! I love the dress! 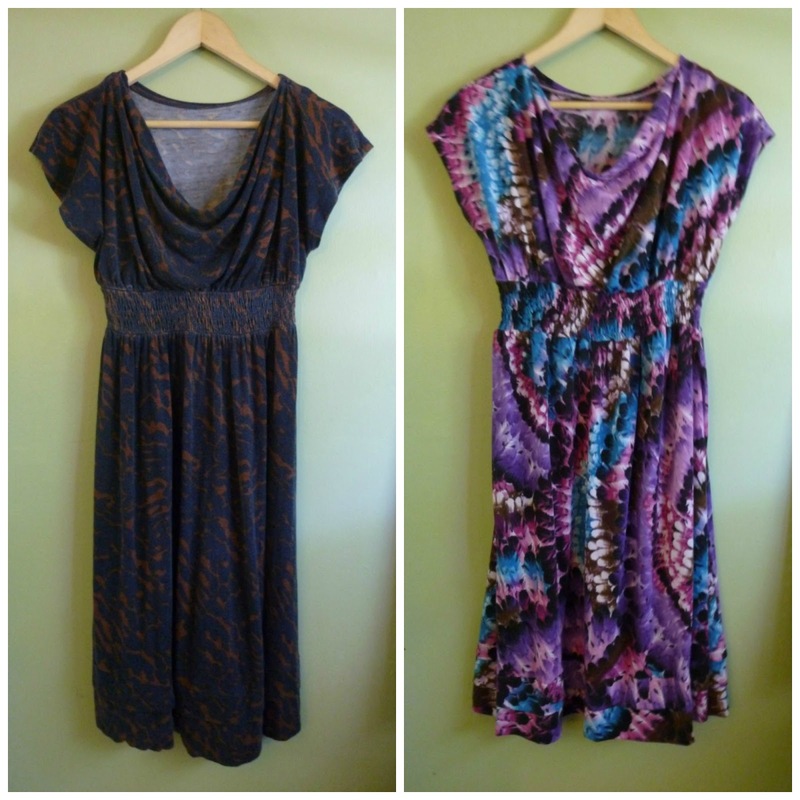 The dresses are duplicates, of course barring the non-pregnant skirt front, which I get is necessary, lol. I agree with Shanni, that fabric is beautiful! Ugh, I hear you! 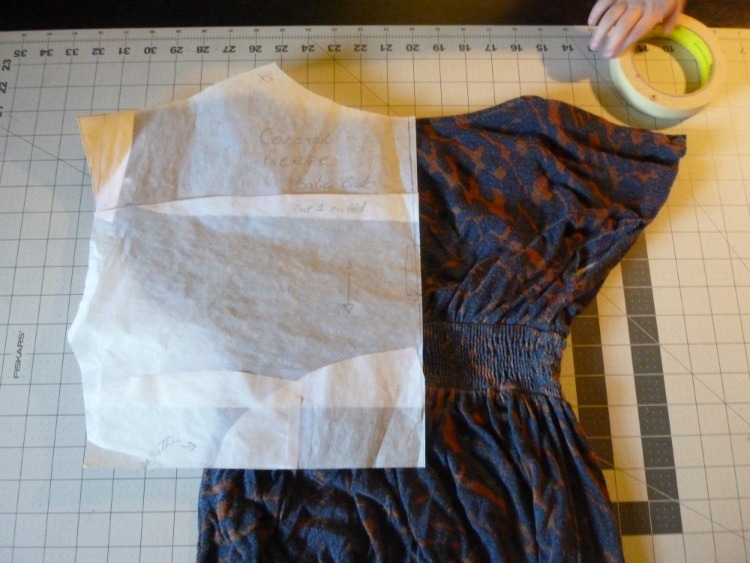 Then after all that hand-winding and gathering--I cut the ends off when the dress was assembled! I totally have this Target dress (and have never been pregnant). Love your copy of it- great job!